Here I go again! Loving this monotone color scheme! I used the Spellbinders Nested Lacey Pennants and the Curved Rectangles, Epiphany Crafts Star tool and A Jillian Vance Design Stamps! then 3D dotted on the smaller piece with the manger scene on it. 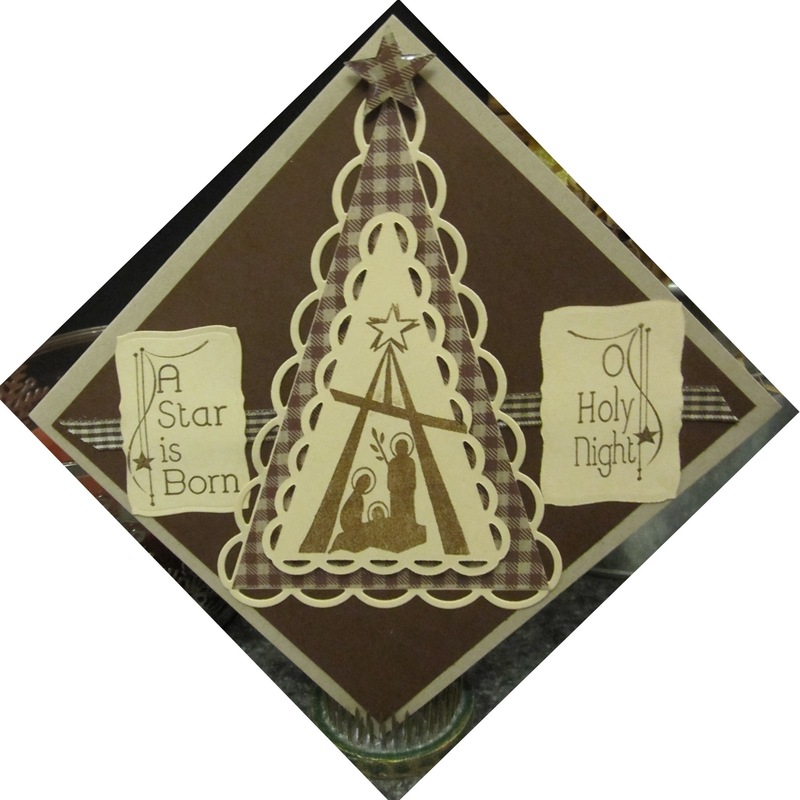 Stamps are from O Holy Night and Nativity by A Jillian Vance Design found HERE. Epiphany Crafts Shape Studio in Star 25 for the gingham star.